Yuliana Gorkorov was born in Ukraine in 1988 and emigrated to Israel at a young age. She completed her bachelor’s in communication design in 2014 at Folkwang University of the Arts in Essen and began studying for a master’s there. Her studies focussed on design for multi-cultural communication. Her avowed goal is to facilitate multi-cultural communication with the creation of a global alphabet. Gorkorov is familiar with the Hebrew, Latin, Arabic and Cyrillic alphabets, which led her to look for communalities between letters that look different although they derive from a common historical source. 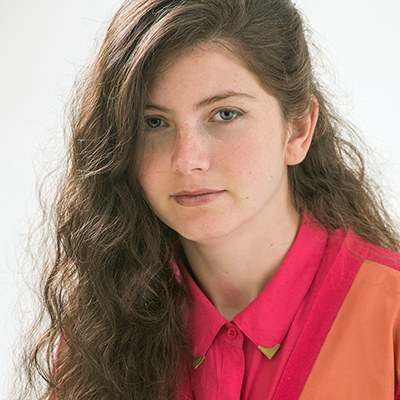 In 2012, she created the English-Hebrew font ApocalypsA, followed by BABEL2014, a joint character set for the Hebrew, Latin, Arabic and Cyrillic alphabets. 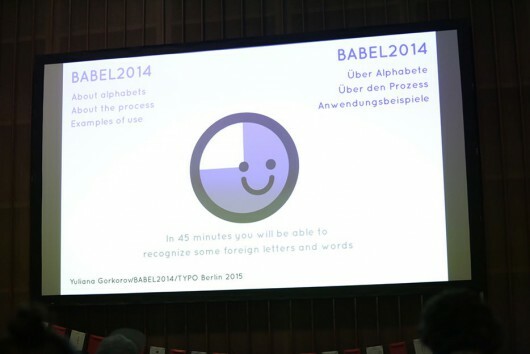 She presented the BABEL2014 project at TYPO Berlin 2015, as well as in exhibitions. The project also garnered her the German ADC silver nail for young designers. Her new research project is “Akrofont”, an international acrophonic alphabet. The project involves invoking the principle of acrophony, which has its historical roots in the aforementioned alphabets. She combines the various alphabets into an acrophonic pictograph alphabet.